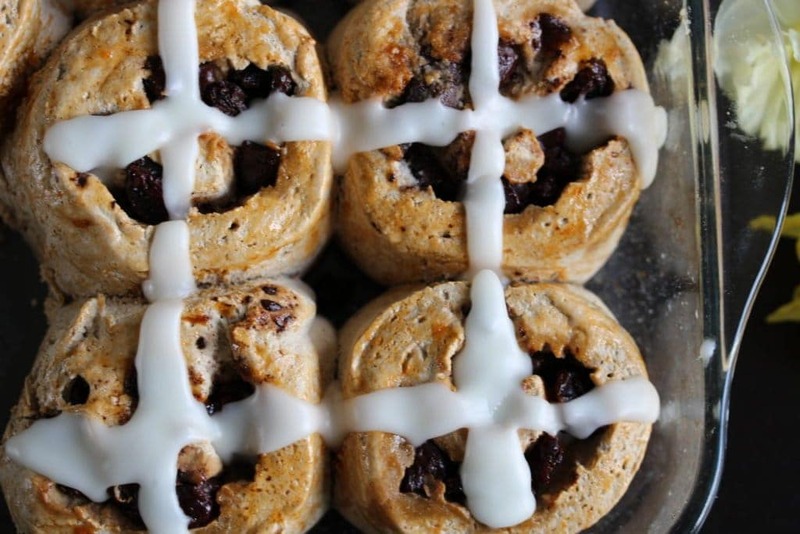 Vegan Hot Cross Bun Rolls (Gluten-Free) | The Free From Fairy. 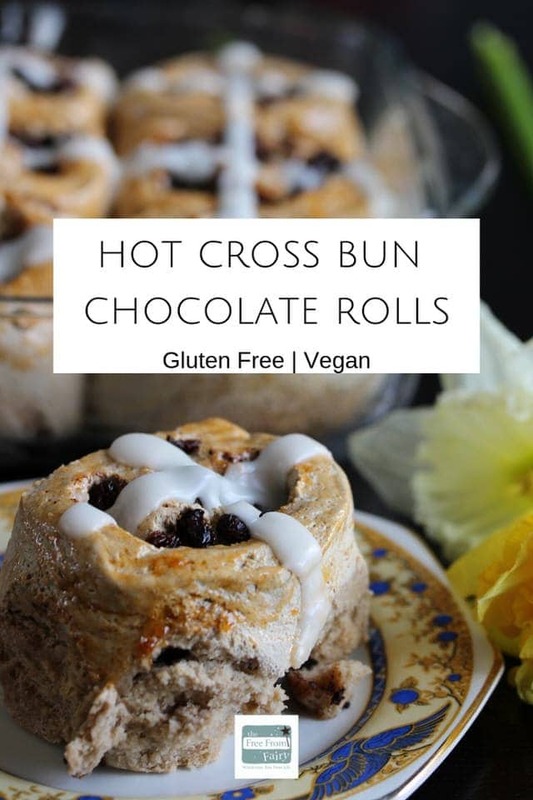 These vegan hot cross bun rolls are soft and delicious with chocolate that oozes out with each mouthful. Rather than the traditional bun shape I decided to make them as rolls, much like a cinnamon roll. Only an Easter version. This is an example of my life…perhaps you can empathise? Get out of bed. Late. Decide that as I’m out of bed late I’ll have a run with Minnie after dropping the kids at school. Blearily drink my coffee and generally faff around the kitchen. Look at my calendar at 8.20am to see what excitement the day ahead brings. Realise that I have a meeting with a buyer at a local influential farm shop to showcase my wholegrain gluten free flour blend. Which means making a selection of samples to take with me to the meeting at 10am. Run around the house, grabbing ingredients and shouting to the kids to get ready for school. Bundle kids out of the house at 8.40am…baguettes rising on the side, mixture made for cupcakes. Metaphorically flog the kids to school, run home (lucky I’m dressed for a run…but not appropriate attire for meeting a buyer). Get the cakes in the oven. Have a shower. Choose some appropriate clothes. Take cakes out of the oven and put baguettes in. Run around the garden with Minnie to give her some exercise. Grab hot baguettes from oven and steam it to meeting at 10am. Get there with 5 whole minutes to spare. Impress buyer and fix a date for launch. Back home by 10.35am. What is your gluten free flour blend? 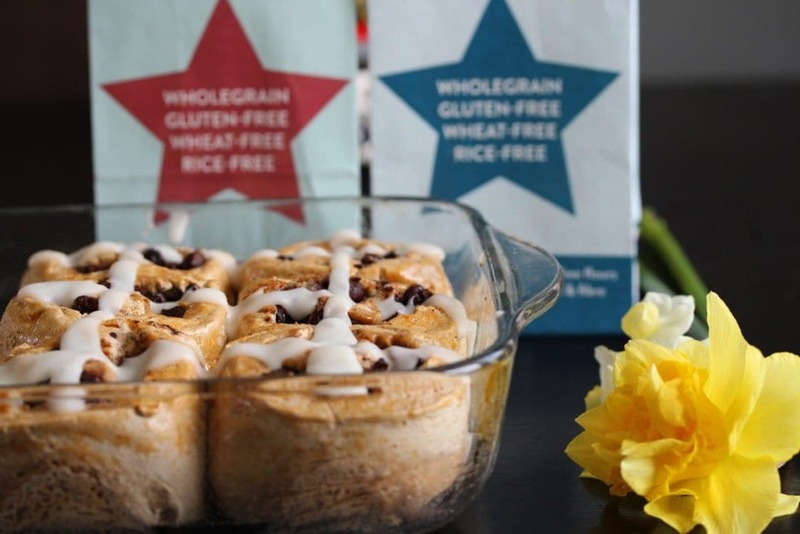 Back in 2016 I launched my wholegrain gluten free flour blend. It’s a very carefully selected blend of 70% wholegrain gluten free flours with gluten free starches. If you don’t know anything about gluten free flour then I suggest you check out this article about what I learnt about gluten free flour while making the blend. I’d also recommend reading this article that tells you what a gluten free flour blend is and why it’s so important in successful gluten free baking. I now almost exclusively sell it here in my gluten free flour shop but I do also have a few select stockists. Including Darts Farm who I mention in my story above. Once again I’ve teamed up with a number of brilliant food bloggers to bring you #FreeFromEaster recipe inspiration. 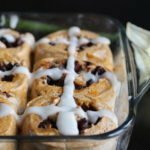 If you’re stuck for free from Easter recipes then look no further. They are all listed below. I developed this recipe after the success of my Christmas tree tear and share bread. However, this time I decided to have a go with using yoghurt instead of fat and eggs. The result is a delightfully moist bun that works with both plain dairy free yoghurt and normal dairy yoghurt. That makes it the perfect recipe for gluten free vegans. 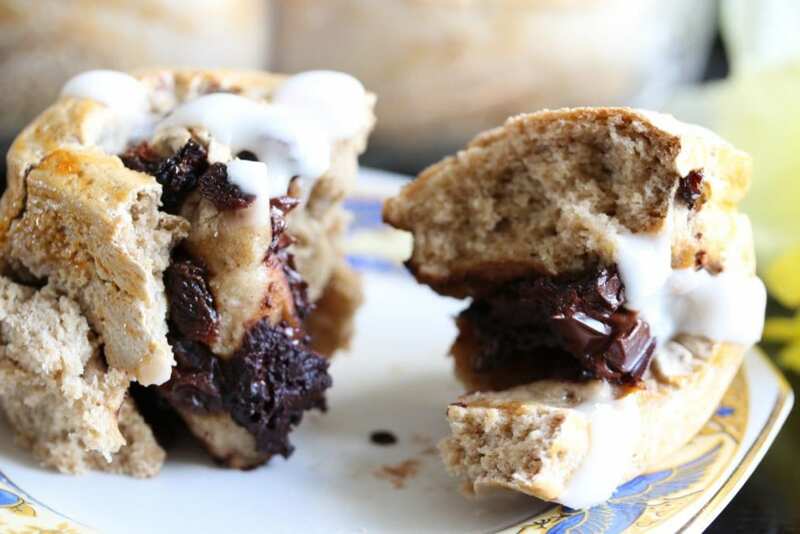 Not being vegan, I tend to make these with my homemade goats milk yoghurt (you can find out how to make your own yoghurt here) and it results in a squidgy roll bursting with chocolate. I have huge admiration for Chocolate & Love, and as you know, I like to support small businesses. 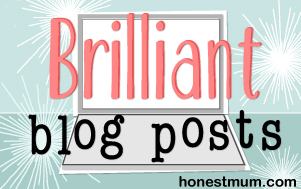 I’ve featured them before on the blog and I am again because I love them so much! 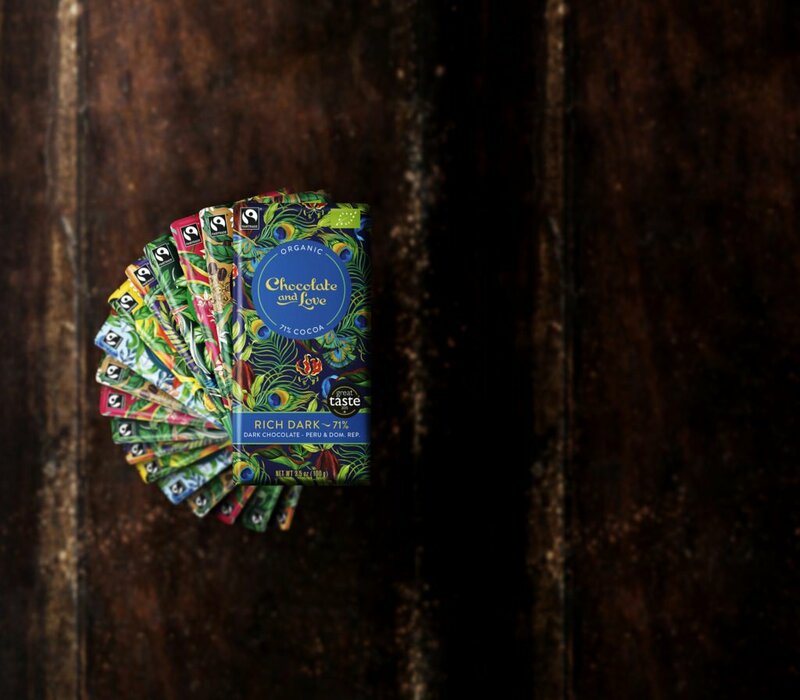 They produce organic, fairly traded chocolate that tastes incredible and is suitable for coeliacs and vegans (although it does carry a ‘may contain milk’ warning). For this recipe I’ve used their chocolate orange variety which is 65% cocoa and beautifully flavoured. It oozes out of the buns when warm, in the most divine way. Combine the dry ingredients in a large bowl or the bowl of an electric mixer fitted with the dough hook, and mix well. I use this Sage mixer. 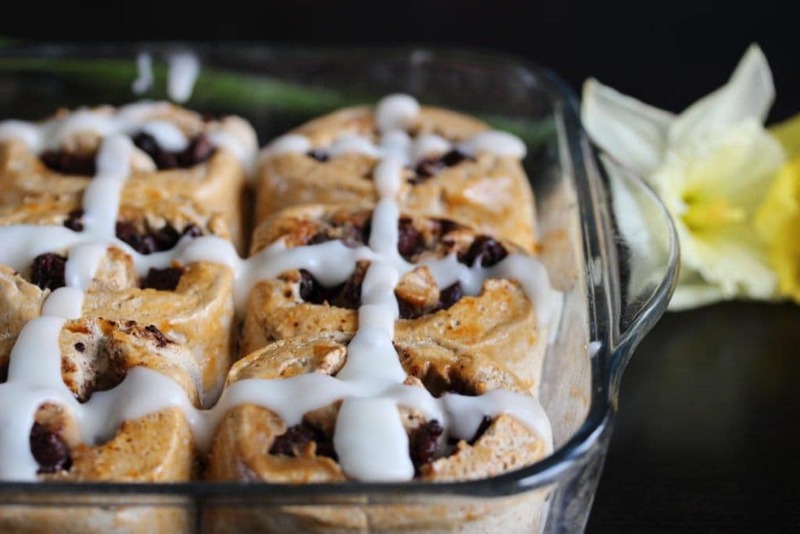 While cooling mix the icing ingredients together and drizzle over the rolls in a cross shape! I received a free box of Chocolate & Love chocolate in return for this post. All words and opinions are my own. 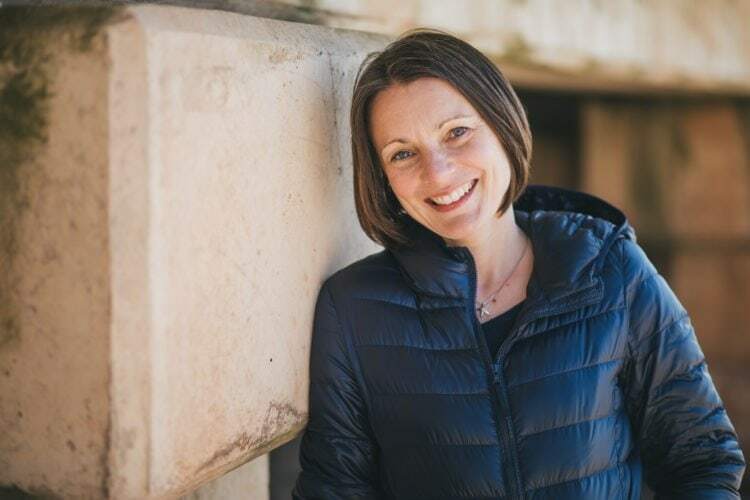 They make 7 – thank you!